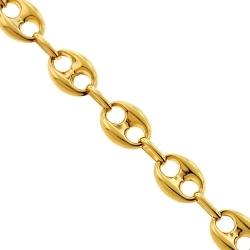 Wearing our unique puffed anchor chain, you'll have a handsome look that's sure to please! 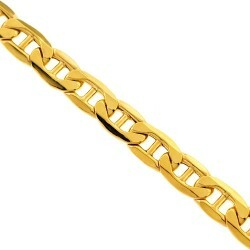 It's artfully produced from lustrous 10 karat yellow gold, and high-polished for smooth shiny finish. 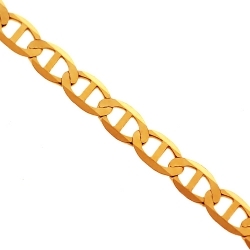 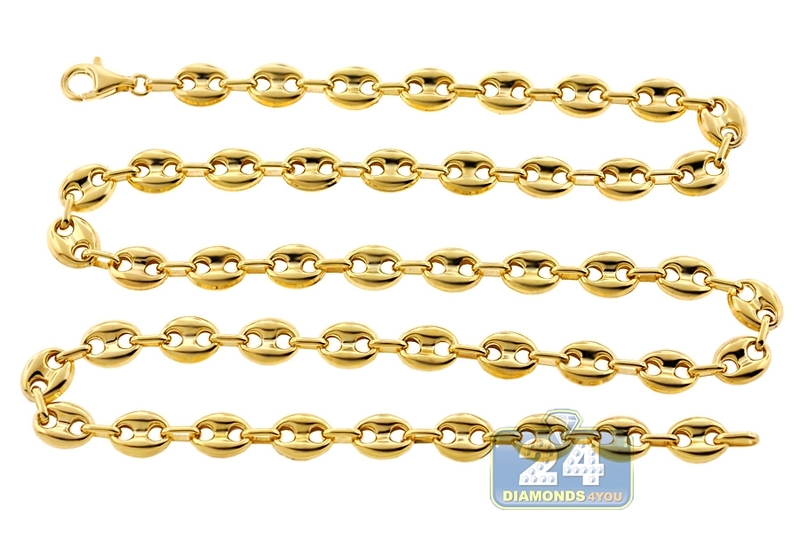 The 10k yellow gold necklace features 3 mm in thickness, 8 mm in width, and comes in length of 24, 26 or 30 inches. It's also closed by a user-friendly lobster claw clasp. 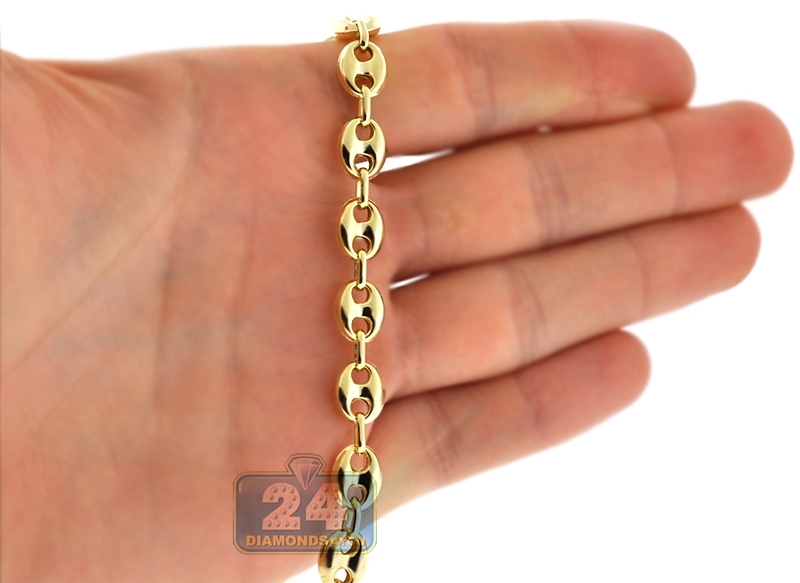 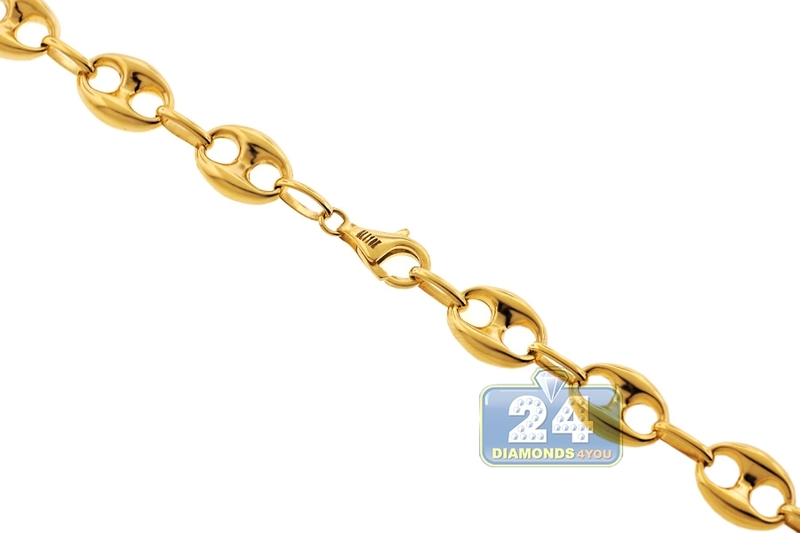 Add this men's gold mariner link necklace to your collection!